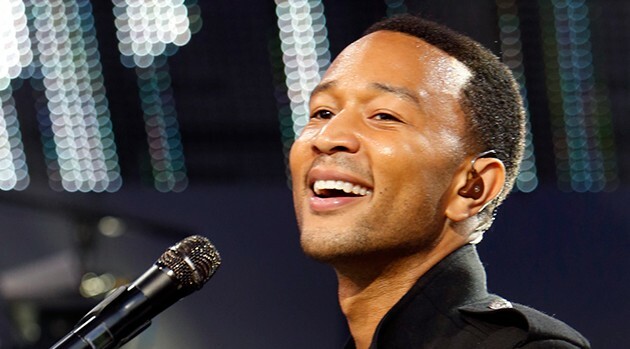 ABC/Randy HolmesNearly a decade into his career, John Legend has secured his first chart-topping hit on Billboard Hot 100. The crooner’s ballad “All of Me” beat out Pharrell Williams‘ “Happy,” which had held the top spot for 10 consecutive weeks. According to the publication, “All of Me” reaches the top in its 30th week, marking the third-longest climb to #1 in the chart’s 55-year history. “#1!!!!!!!! Thank you! !” Legend tweeted on Wednesday. Legend’s previous highest-charting singles were 2005’s “Ordinary People” and 2008’s “Green Light” featuring André 3000, which both peaked at #24. The song appears on the singer’s latest album, Love in the Future.